News — Eat Me Drink Me | Food, drink and event experts in West London and beyond. 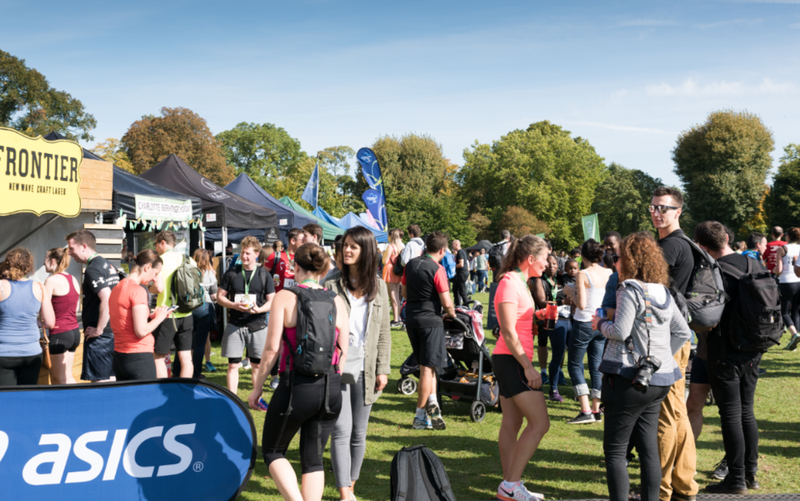 Voting closes this week for The Running Awards 2018 and we chose the Ealing Half Marathon of course. With Ealing Half Marathon winning the trophy of 'UK's best Half Marathon' since voting began in 2014. This just shows what a great event it has proven to be and we are always so thrilled to be a part of it. Let's help them make it 5 out of 5. This year the race will take place over the weekend of the 29th September, kicking off with the mini mile on Saturday, finishing off with the grand finale of the half marathon on Sunday. So that means there is plenty of time to get your training in! We will see you there with a selection of street food and coffee, perfect for re-fuelling or to enjoy by the sidelines while you support your friends and family. Thank you for making December at Ealing Artisan very special. We all hope you have a wonderful Christmas and a happy New Year! Sfornato pizzanos are something totally new to the London foodie scene. 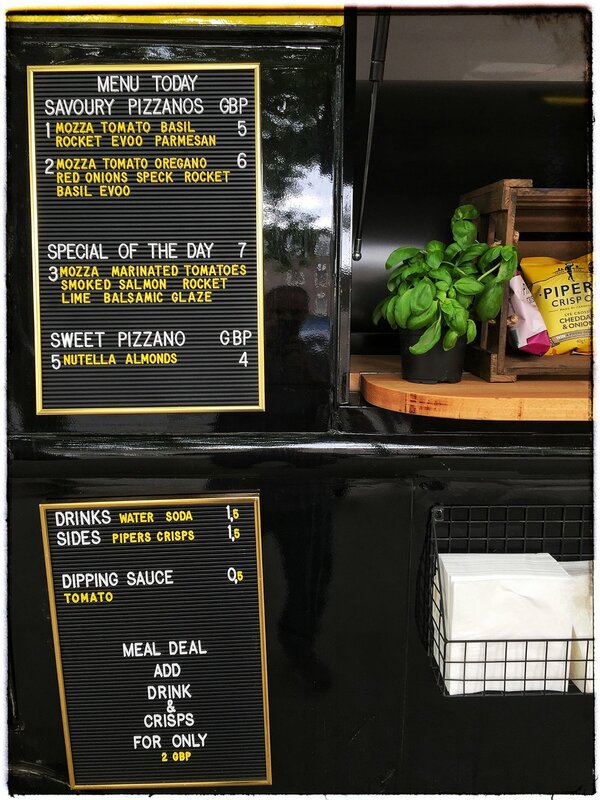 They are wood-fired pizza-sandwiches, with fillings like mozzarella fior di latte, basil, tomato sauce and extra-virgin olive oil, or pulled rosemary chicken, balsamic caramelised onions, bacon, and tomato sauce. There's also something for the sweet-toothed, such as sliced wood-fired bananas and melting chocolate sauce. Owner David is French but being passionate about pizza, travelled to Italy to learn more about the craft of making pizzas. He discovered a dish called "panuozzo", and taking inspiration from that, he created the pizzanos. His ingredients are sourced locally where possible, from Italy where necessary, and packaging is eco-friendly. I am a French citizen who has been living in London for the last 3 years... I am passionate about food and travels! I have been to Italy multiple times and fell in love with the food over there which is why I dedicated quite a big time of my life in learning how to cook proper Italian food! Sfornato serves artisanal quality pizzanos that could be described as pizza-sandwiches cooked at lightning fast speed in a wood-fired oven and filled with savoury or sweet ingredients depending on the season and creativity of our bakers. I ran a restaurant back in France about 8 years ago. Then I went to Asia (Hong Kong) where I worked in the event industry and helped charities to raise funds. Then I travelled across Asia for almost a year before relocating to London where I pursued my career in the charity industry up until today. I have always had a dream to be self-employed, to realise a vision and hopefully to give to people what I expect when visiting a business - great product and customer service at a fair price! Since I always love cooking, starting a food van business seemed like the natural 'next-step'. Some traders/pizza specialists all over the world are doing great things and I keep looking at them for inspiration and new ideas. My past travels are also a great source of inspiration and I will try to take advantage of this experience by offering (from times to times) original recipes! I love cooking, I love sharing and discussing with customers especially since people are always curious when it comes to food. And it's really great to be away from an office. Ultimately, I like to have these 2 jobs at the same time, working on realising my dream with the van whilst continuing my activities in the charity industry. It's really fulfilling! Be different, love your food, love cooking and love people because at the end of the day, it's all about serving them and making sure that they're enjoying your food! I am a happy Ealing resident! it's hard to pick just one place really... well friends/family come over for a visit, I'd say that I like to go to Richmond and find a nice spot by the Thames for a lunch outside... there is a German place there which is quite a good place for a beer and some Wiener Schitzels! Reminds me of my trips in Germany and Austria. Again, it's all about food AND travel memories! Are you a trader? We have a number of events and markets throughout the year and are always on the look-out for exciting new traders to join our family. If you would like to be an Eat Me Drink Me trader please take a look at our Trader page. Ealing native Jennifer fell into fascinator design when she struggled to buy an original headpiece for a wedding. She decided to make one for herself and became hooked! She was tutored by the late Queen Mother’s milliner in London before developing her own designs, which are sure to inspire your upcoming wedding, race or special occasion attire. I moved to Ealing three years ago from Henley on Thames in Oxfordshire. I design and make bespoke fascinators for Ascot, Henley regatta, and weddings from my Ealing studio. For many years I have been involved in the world of fashion, modelling, film and print work in London, New York and Tokyo. I fell into fascinator design when I struggled to buy an original headpiece for a wedding I was attending. I decided to make one and was hooked! I was then tutored by the late Queen Mother's milliner in London before embarking on an extensive period developing my own designs. I'm very passionate about designing Fascinators I love to make my clients feel vibrant and glamorous all season round. I design a broad range of pieces to cater to everyone; from the lady who wouldn't normally feel confident wearing a headpiece, to the Ascot attendee who wants a bespoke show-stopper. It's so rewarding when a client wears a piece that makes her feel attractive. I live and work in Ealing. As a UK designer I like to utilise locally produced materials. I get lots of my Inspiration from my travels around the world. Kaffee Culture's Stephen offers hand-roasted artisan coffee beans sourced from Fairtrade or Rain Forest Alliance suppliers. Each batch of green beans is roasted at various levels to best bring out the flavours of the bean. Kaffee Culture also offers a bespoke roasting service, so if you like your Monsooned Malabar dark with some oil showing, then that's how they will roast it for you. I’ve roasted my own coffee for more than five years. When I was made redundant from working as a Business Improvement Manager in the chilled food industry, I decided to follow my passion -- coffee. Since January I now roast coffee as my business. I offer an online bespoke roasting service where you select the bean, the roast level and whether you want the whole bean and I roast it to your preference the next day and send it first class post. As it is bespoke, your name is printed on the bag, or if it's for a friend, I print their name. I supply both Fairtrade and Rain Forest Alliance beans and single farm estates. I also have a decaf option as well. For markets, I roast to a medium roast, and I also offer flavoured coffee beans, a selection bag and most recently, Cold Brew coffee in bottles to take home, or by the cup with ice, syrup and cream - when its warm enough! At the market, I have an Information Corner where I try to help with any coffee related questions, plus I display various brew methods and grinders. The difference between freshly roasted coffee and what you can get at the supermarkets is night and day, so I really encourage everyone to try freshly roasted. For 20 years I was a Business Planning Manager and then a Business Improvement Manager for the UK's largest chilled food manufacturer, making ready meals for M&S, Waitrose, JS and Tesco. Before that, I was also in the food industry, from fresh chilled soups to a brief foray into frozen. When I was made redundant I decided to follow what I loved and started roasting coffee beans. The love of coffee and being able to control exactly how it tastes by bringing out the best in the bean. All the flavour in coffee is brought out through the roasting process and I decided to turn my passion into a business by offering a bespoke service which is difficult to get from the current offerings in the market. Seeing others turn what they love into a business and controlling their own destiny. If you follow what you love to do, making a success of the business is more likely. With my business improvement background I can ensure that my operation is efficient and the numbers are realistic which helps in the early stages of a start up. Seeing a green bean turn into something delicious. Being in control of my future and backing my own ideas and decisions. Seeing something that was an idea turn into reality. Go for it. Get as much advice as you can and don't be afraid to ask for help. There are many organisations out there that are designed to help start ups. Identify your weakness and get help in those areas first. Get the basics right with a good business plan - even if numbers may not be a strong point, an accurate cash flow is a must. This will be obvious if you run out of money. If possible, depends on your idea, start lean as the risk is less, although some plans do need major investment. I live in Ealing and go to the Ealing Business Forum monthly.